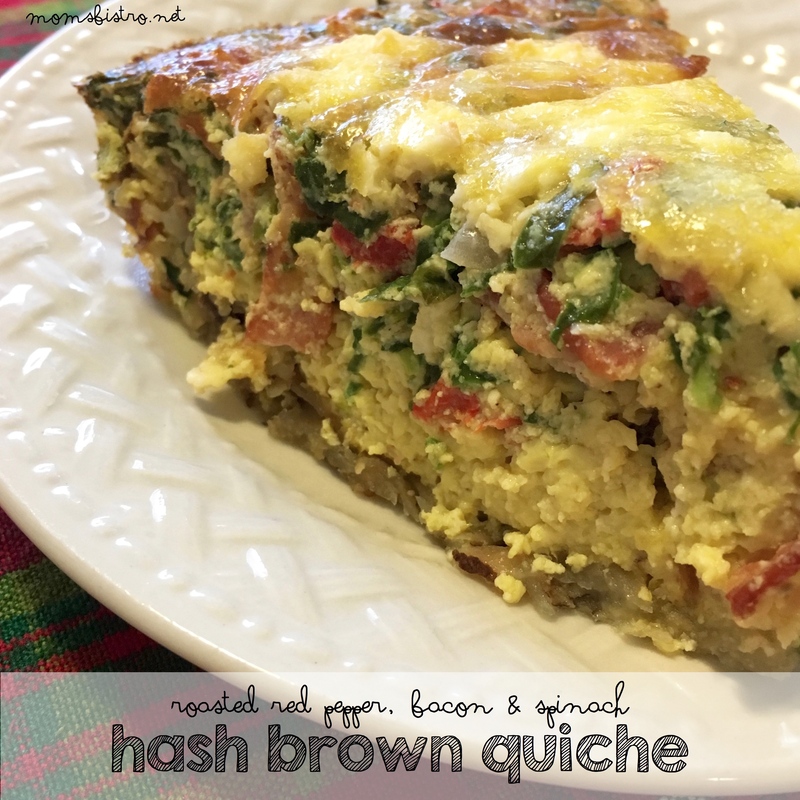 Swap the pie crust for hash browns to make brunch extra special with this Hash Brown Quiche! 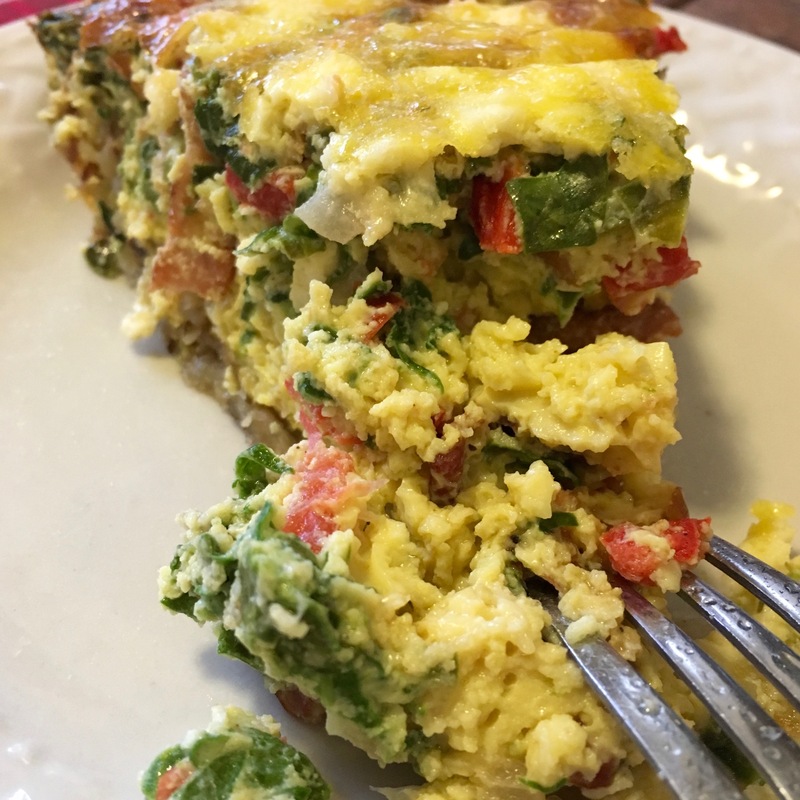 We love making frittatas for breakfast – they are quick, easy and full of flavor. 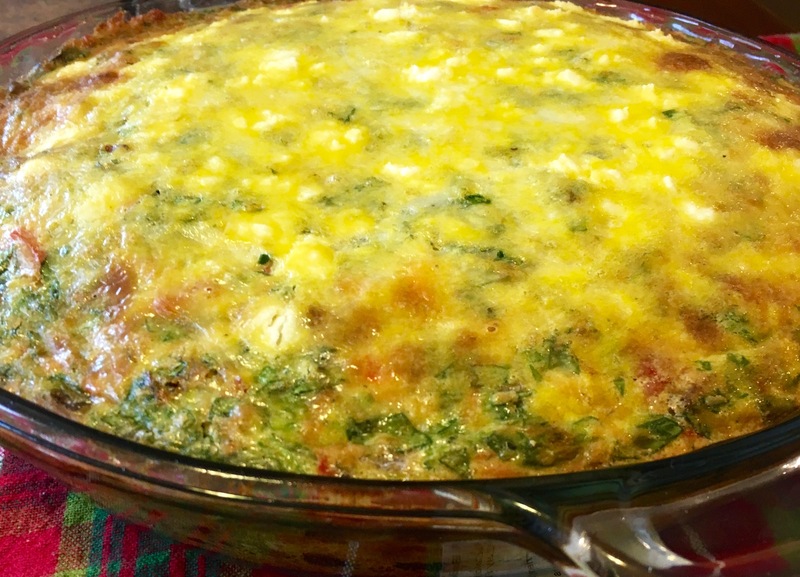 Plus, there are so many different ways that you can make a frittata. Add veggies, add bacon, add sausage – whatever you want. 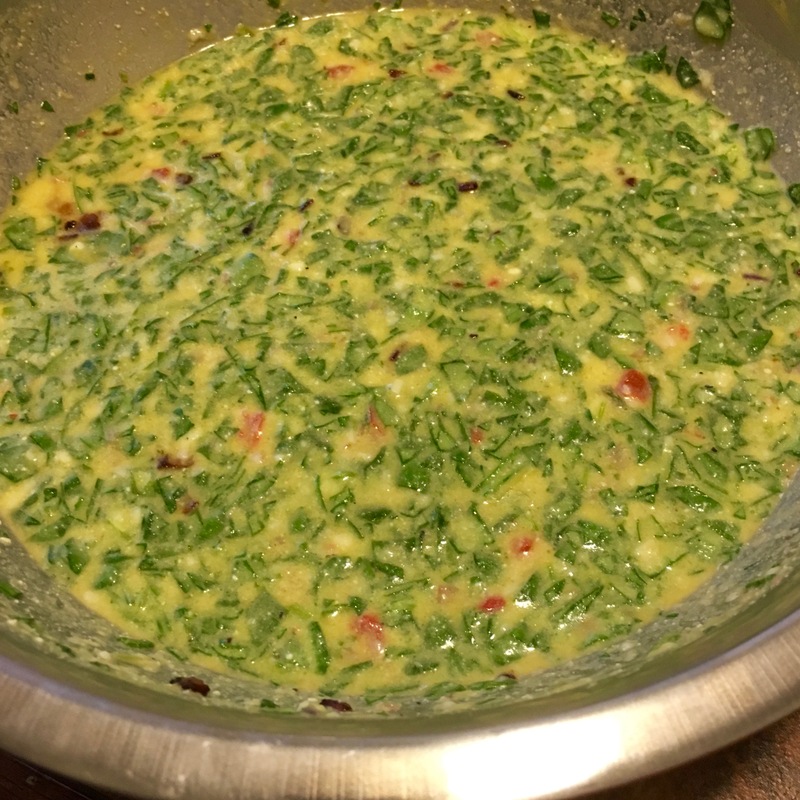 Frittatas are really a blank canvas. Likewise with this quiche. 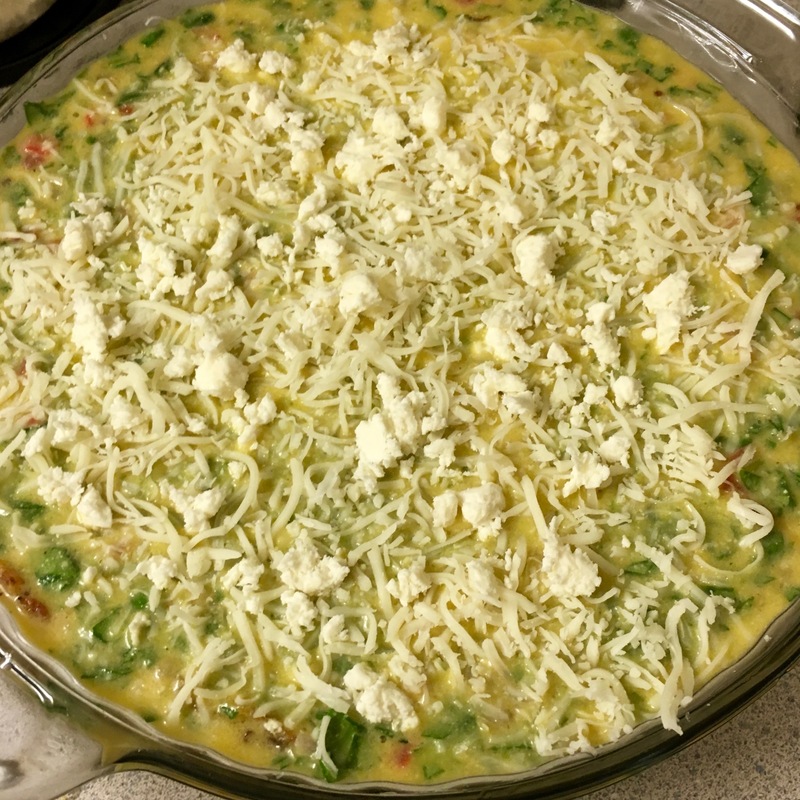 Traditionally a quiche is a frittata except with pie crust. 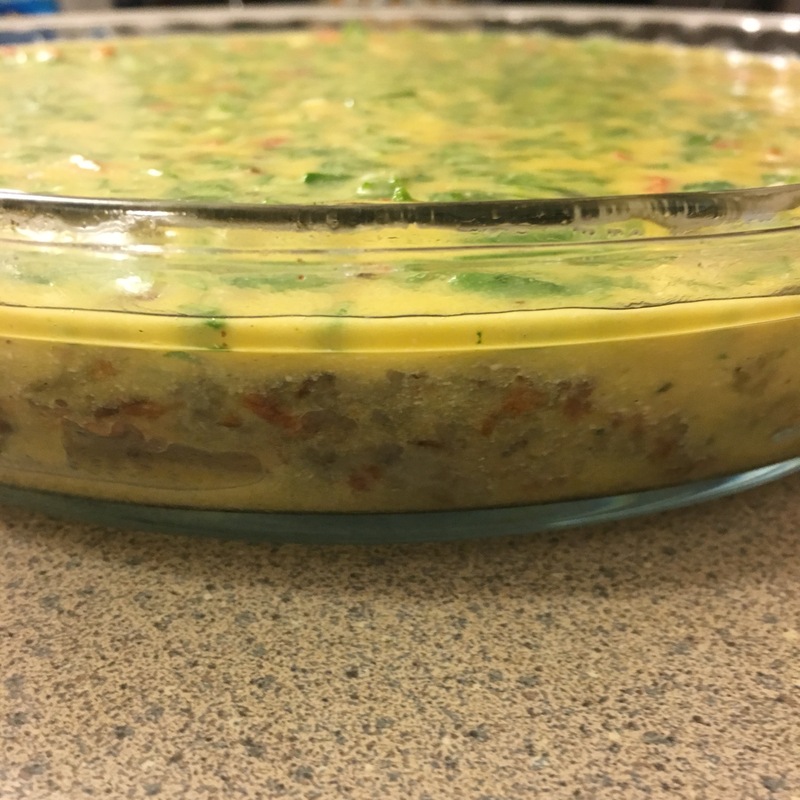 There are so many ways to make a quiche, and if you look on Pinterest, you’ll see 1000 different recipes with 1000 different fillings. 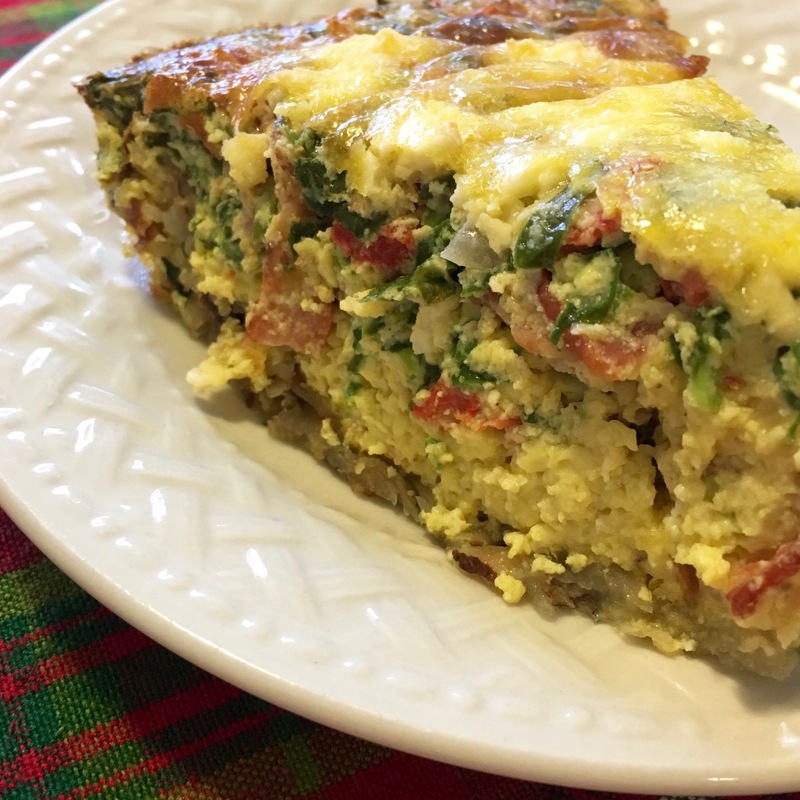 This Hash Brown Quiche is filled with some of my favorite ingredients; roasted red peppers, bacon and feta cheese. Under a broiler. Roast red pepper, turning occasionally until the skin is black and bubbly. Immediately transfer to a metal or glass bowl and cover with foil. Let rest at least 10 minutes, and carefully remove skin, seed and core with your hands under slowly running water. Dice red pepper about the same size as your onions. 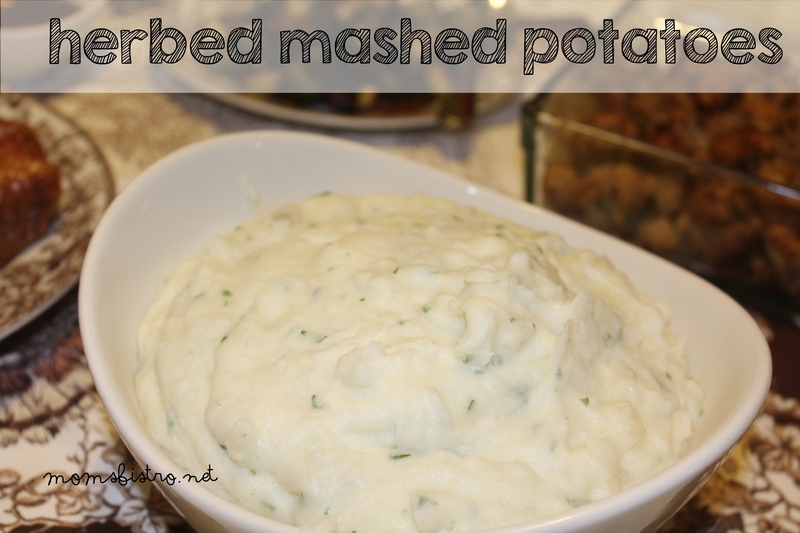 Place shredded potatoes in a large bowl and add enough water to cover the potatoes. Stir well. Drain in a colander set over the sink. Press out as much water as you can with a rubber spatula. In a large non-stick skillet, or on a griddle, heat 1 tbsp olive oil and butter until butter foams. Add potatoes to the skillet or griddle in an even layer and press with the back of a spatula to form a “pancake”. 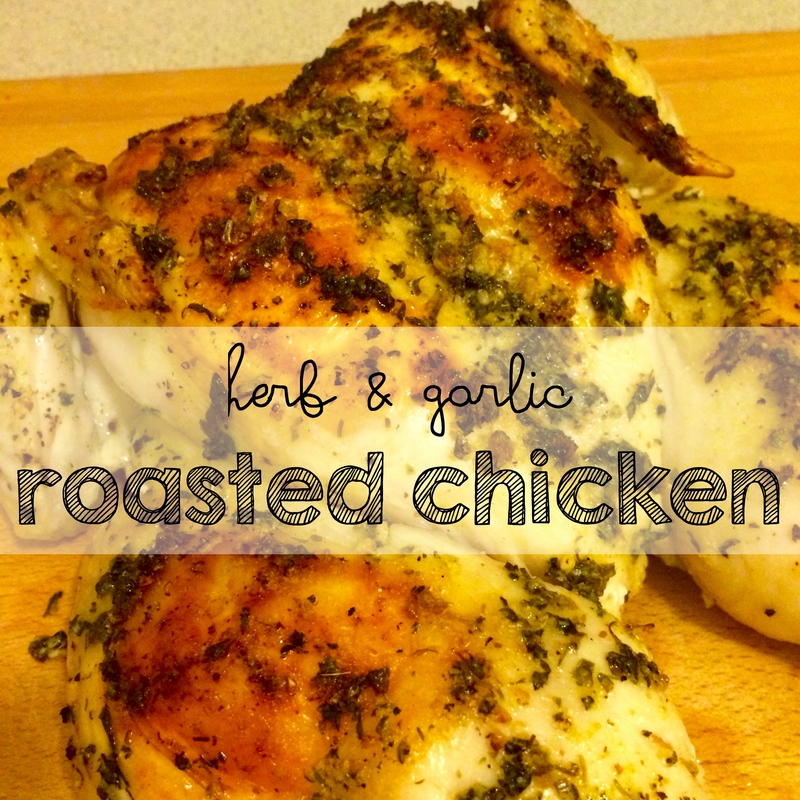 Reduce heat to medium and cook WITHOUT stirring for 15 minutes, or until the bottom is golden brown and crisp. 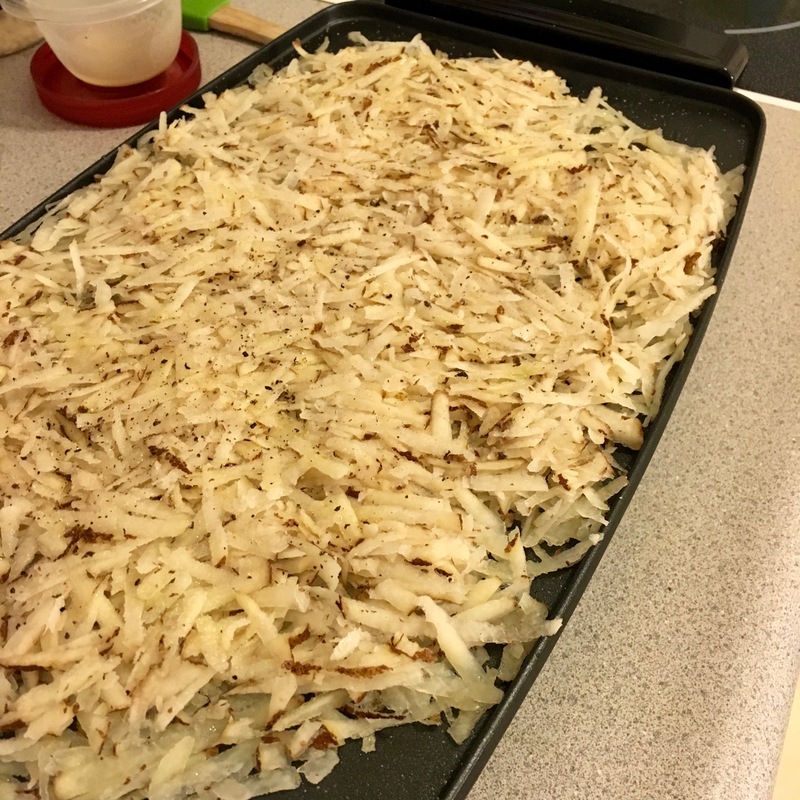 Carefully flip potato “pancake” and cook on the other side for about 8 minutes, until browned and crisp. Lightly grease a pie dish. 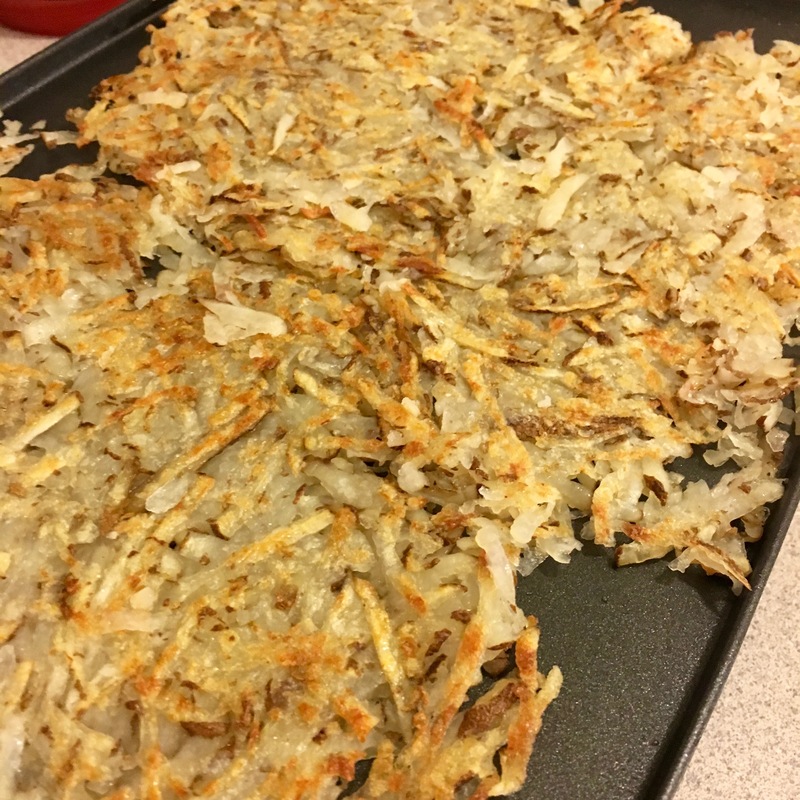 Transfer hash brown to pie plate and press into the bottom and up the sides of the pie dish. In a separate skillet, cook bacon until crisp. Drain fat, reserving about 1 tbsp and cook onion until softened. Remove from heat. 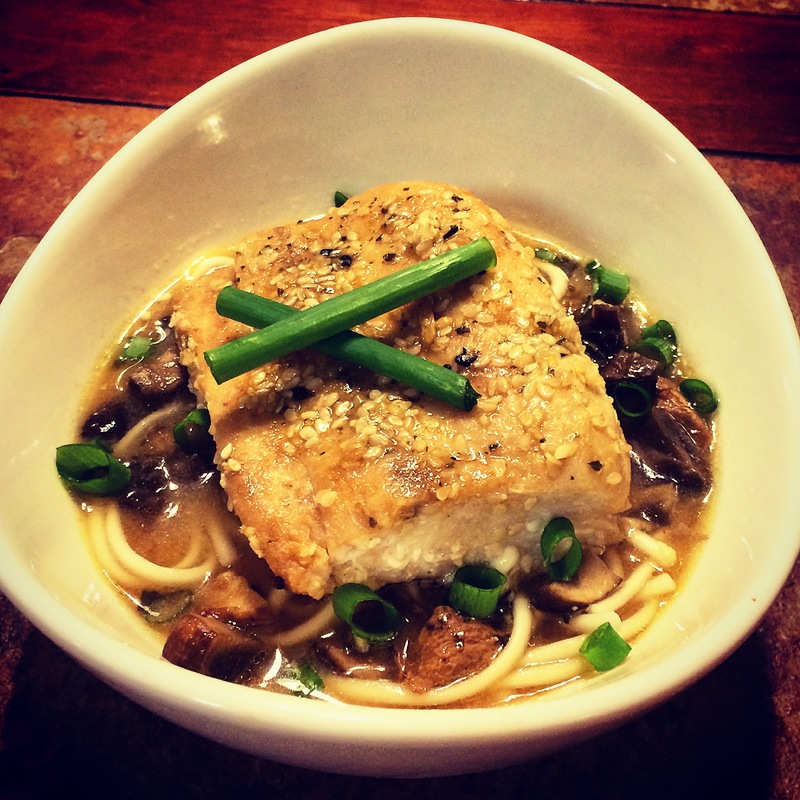 In a large bowl, combine remaining ingredients, and whisk until light and fluffy. 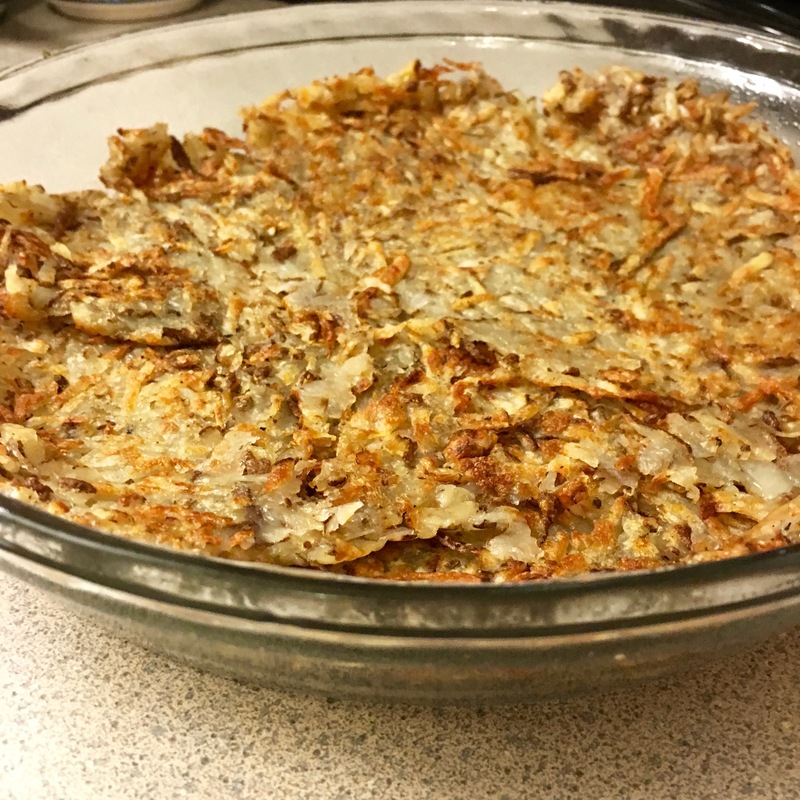 Pour egg mixture into the hash brown lined pie plate. Top with remaining mozzarella and feta cheese. Bake for 55-60 minutes or until a knife inserted near the center comes out clean. Let stand 10 minutes before serving.